Health Check: which sports supplements actually work? Whether your goal is to increase strength, decrease body fat or improve overall performance, adding supplements to your daily regimen can give you that extra edge. But with thousands of products on the market, choosing the ones that are right for you can be overwhelming. Red – there is minimal research to support the claims of effectiveness, but ingredients are generally well tolerated unless taken in too-large doses. Creatine monohydrate has been around for decades as a supplement, and there are literally hundreds of published studies supporting its benefits and safety. Creatine is a natural substance our body uses to produce energy. The body turns creatine into phosphocreatine, which is stored in the muscles. Creatine supplementation works by increasing its availability in the muscle. This helps to maintain energy during high-intensity exercise such as lifting weights, circuit workouts and interval runs. Increasing the availability of phosphocreatine may also help speed up recovery between sets. Long-term creatine supplementation appears to enhance the quality of resistance training, generally leading to 5-15% greater gains in strength and performance. Creatine can also be beneficial for endurance athletes. US research found when athletes took creatine five days before a typical carb-loading protocol (a strategy for maximising energy storage), glycogen levels in their bodies increased by 53%. Glycogen is essential for long-term energy storage in the muscles. Because of the strong relationship between high glycogen stores and performance during prolonged exercise, creatine could be quite beneficial in endurance activities. Whey protein is a fast-digesting protein, and can help improve your muscles’ ability to recover and adapt after strenuous exercise. Proteins are made up of amino acids and are responsible for many different functions in the body, as well as being an important source of energy. A review in the American Journal of Clinical Nutrition showed that supplementing with protein during resistance training can lead to significantly greater increases in muscle mass and strength when compared to resistance training without a dietary protein. You can certainly meet your daily protein needs through wholefoods alone, but nothing beats the convenience of a ready-to-drink protein source, like whey protein powder, to jump-start the process of muscle building and repair. In fact, consumption of whey protein has been found to stimulate muscle protein synthesis to a greater degree than other proteins like casein and soy. 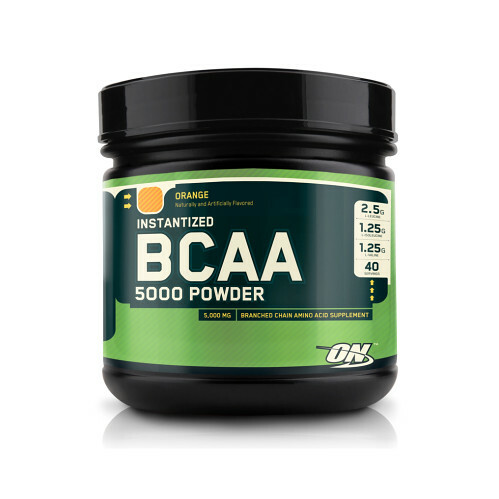 BCAAs are branched-chain amino acids, which include the amino acids leucine, isoleucine and valine. These are among the nine essential amino acids (the building blocks of proteins) not made naturally in the body. Instead, these need to be supplied through the diet. They’ve become quite popular over recent years due to claims they can increase muscle protein synthesis and suppress protein breakdown. It has also been suggested they can help reduce fatigue during prolonged exercise by reducing the amount of serotonin produced in the brain. Despite limited research showing that acute supplementation with BCAAs may improve protein synthesis after a bout of resistance training, there isn’t a whole lot of evidence that this actually leads to greater muscle mass in the long run. They have, however, been shown to reduce delayed onset of muscle soreness following intense exercise. Fish oils are an excellent source of omega-3 fatty acids, key players in the muscle recovery process. Intense resistance training can cause microscopic tears in your muscle fibres, leading to muscle damage and inflammation. 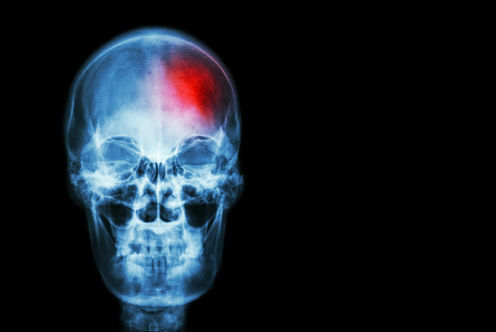 While some inflammation is desirable, too much can delay recovery. Research suggests omega-3 fatty acids may help reduce muscle soreness after exercise and speed up the recovery process, getting you ready for your next session with the weights. Testosterone boosters are a class of herbal supplements that claim to naturally increase your testosterone levels. By directly increasing testosterone, or by inhibiting hormones responsible for converting testosterone to oestrogen (the female hormone), these supplements are designed to help you build bigger, stronger muscles. 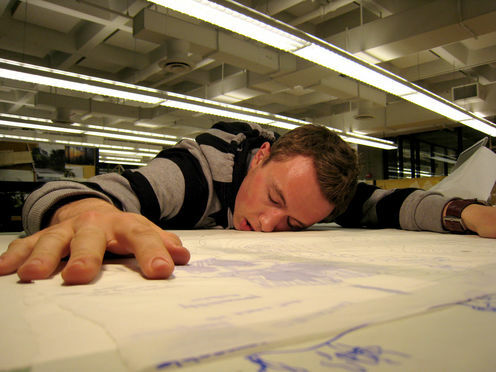 Some commonly used ingredients, like D-aspartic acid (which increases natural testosterone production), fenugreek (which enhances creatine uptake) and ZMA (a formula of zinc, magnesium and vitamin B6 used to help achieve a more restful sleep) have been shown to increase testosterone levels and lean body mass. But the majority of studiesexamining the effects of testosterone boosters have produced underwhelming results. Glutamine is one of the most overhyped supplements on the market. Claims it can boost your immune system or reduce muscle soreness are not well supported in the literature. Yet it’s still recommended to many, especially those in the bodybuilding community. Glutamine is the most abundant amino acid in your body. It’s critical for numerous processes, including transporting nitrogen in a non-toxic form from the muscle to the liver. But because your body can already make enough glutamine to support these processes, supplementation is not necessary and a waste of your money. While the research on glutamine supplementation in healthy individuals is less than promising, it may be useful in certain scenarios, such as periods of critical illness. For patients undergoing surgery, or for those who have experienced extensive burn injuries, glutamine supplementation has been shown to reduce infection rates and shorten hospital stay. Glutamine and ingredients used in testosterone booster products are generally well tolerated when taken as intended or directed. Remember, though, before you make any changes to your diet and supplement plan, or if you have any underlying health conditions, make sure to consult your physician. Krissy Kendall does not work for, consult, own shares in or receive funding from any company or organisation that would benefit from this article, and has disclosed no relevant affiliations beyond their academic appointment. 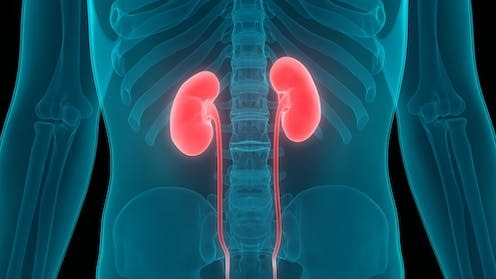 Explainer: what is chronic kidney disease and why are one in three at risk of this silent killer?